Learn physics, chemistry and biology in your own backyard!At-home science provides an environment for freedom, creativity and invention that is not always possible in a school setting. In your own backyard, it's simple, inexpensive, and fun to whip up a number of amazing science experiments using the great outdoors. Science can be found all around in nature. 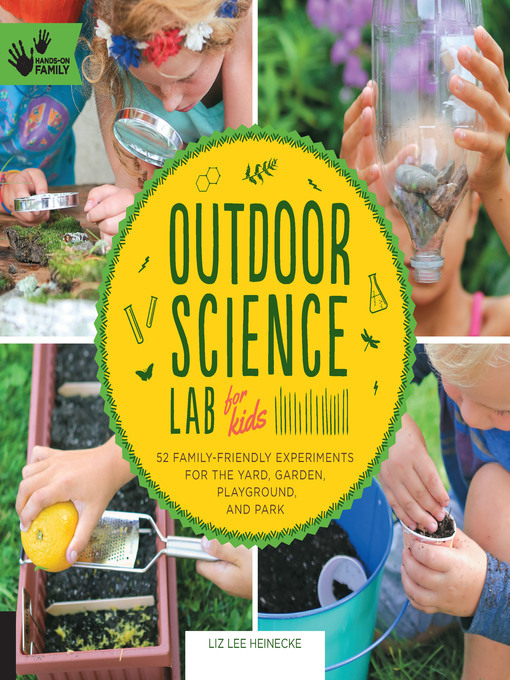 Outdoor Science Lab for Kids offers 52 fun science activities for families to do together. The experiments can be used as individual projects, for parties, or as educational activities for groups. Outdoor Science Lab for Kids will tempt families to learn about physics, chemistry and biology in their backyards. Learn scientific survival skills and even take some experiments to the playground! Many of the experiments are safe enough for toddlers and exciting enough for older kids, so families can discover the joy of science together.